Horace Kellard Jackson, Grand Master of Masons of Texas in the year of 1948, was born at Sunset, Montague County, Texas, on the second day of September, 1899, and lived there until 1909, moved to Burkburnett and resided there until 1917. He then attended Baylor University for four years and graduated with a Bachelor of Arts Degree in 1921 and thereafter resided at Seymour, Texas, until 1936, when he moved to Gatesville, where he has resided since that time. Brother Jackson served in the First World War in the Infantry during 1918. Raised in Mineral Wells Lodge No. 611, A. F. & A. M., Mineral Wells, Texas, on July 12, 1921. Affiliated with Seymour Lodge No. 604, A. F. & A. M., Seymour, Texas, on May 24, 1926. 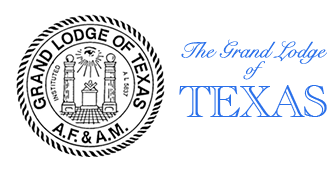 Affiliated with Gatesville Lodge No. 197, A. F. & A. M., Gatesville, Texas, on September 25, 1936. Served as Worshipful Master of Seymour Lodge No. 604 during the year 1930. D. D. G. M. of the 91st Masonic District for two years, 1934 and 1935. D. D. G. M. of the 69th Masonic District 1940. Member of the Committee on Work 1941 to 1944, inclusive, and was Chairman of the Committee in 1942. 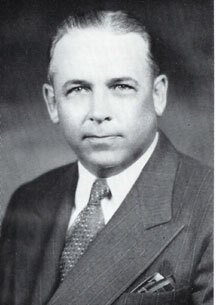 Member of the Board of Directors of the Masonic Home and School 1947 and 1948. Served as Grand Junior Warden, Grand Lodge of Texas, 1945. Served as Grand Senior Warden, Grand Lodge of Texas, 1946. 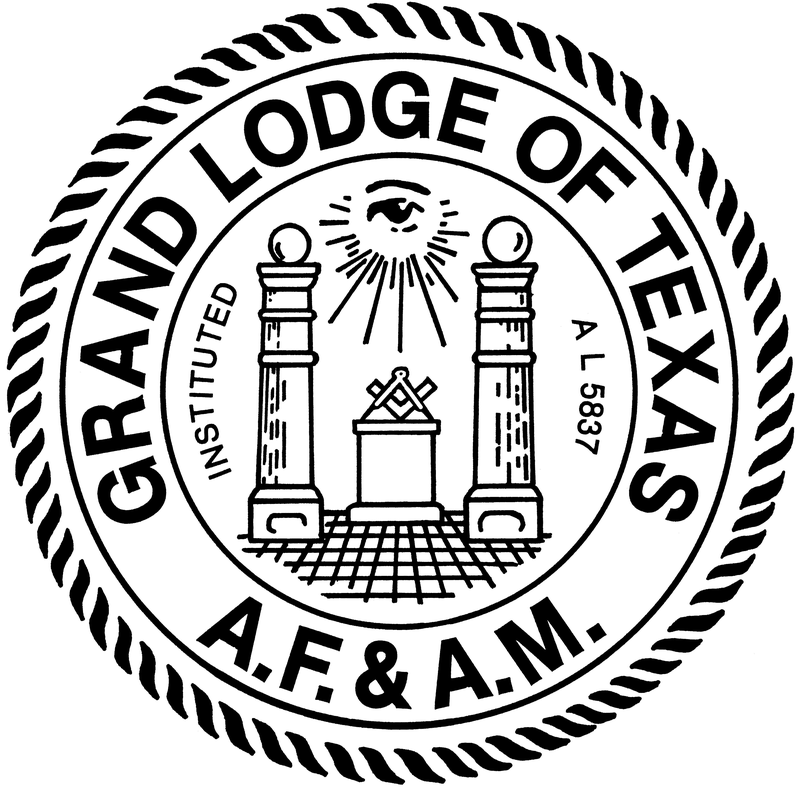 Served as Deputy Grand Master, Grand Lodge of Texas, 1947. Most Worshipful Grand Master of the Grand Lodge of Texas, 1948. Exalted Royal Arch Mason in Seymour Chapter No. 326, November 7, 1922, and served as High Priest in 1925. Demitted and became a member of Waco Chapter, Royal Arch Masons, No. 45, on October 8, 1943. Royal and Select Master in Seymour Council No. 262, November 17, 1922. Made a Knight Templar in Seymour Commandery No. 78, K. T., on February 16, 1928, and served as Commander in 1934. Demitted and became a member of Waco Commandery No. 10 on July 2, 1943. Received the 32nd Degree in Austin Consistory, Ancient Accepted Scottish Rite, Austin, Texas, in 1945. Initiated a member of Mystic Shrine in Karem Temple, A. A. O. N. M. S., Waco, Texas, on October 7, 1943. Received the Order of the Red Cross of Constantine in St. Timothy Conclave No. 65, Fort Worth, Texas, March 30, 1946. Grand Representative of the Grand Lodge of the District of Columbia near the Grand Lodge of Texas. Brother Jackson married Bessie Earle Gilder of Gatesville, Texas, February 8, 1922, and they are the proud parents of an outstanding son, Horace K., Jr., and a lovely daughter, Hallie Jo, and the chief joy and pride of their hearts is their grandson Horace K. Jackson, III. Horace K. Jackson, Jr., served in the United States Air Forces during the second World War, and is now associated in the insurance business with his father in Gatesville. Brother Jackson, in his daily life, truly exemplifies the American and Masonic way of life by serving his church, the Masonic Lodge, his city and state in many capacities, namely: Deacon, First Baptist Church, Gatesville; Trustee of Baylor University, Waco; Trustee of Hillcrest Hospital, Waco; Mayor of the City of Gatesville; President of the Gatesville Chamber of Commerce; and member of the Highway Association. 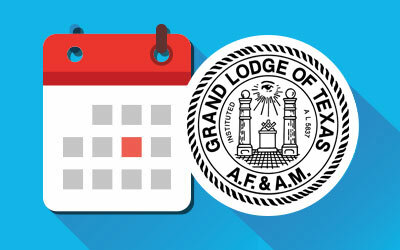 The Masons of Texas are proud of the accomplishments of Grand Master Jackson and know in the years to come he will continue to render to the Craft the unselfish devotion and service which he has rendered in the past.